As many of you know, in 2006 I took part in Project 2,996, tribute in which bloggers remembered a victim of 9/11. In 2007, Project 2,996's founder, Dale Roe, decided for personal reasons to discontinue the project, and I decided on my own, to randomly pick a victim and remember them. A few weeks ago I was pleased to find out that Dale decided to revive Project 2,996 and I was honored to be asked to contribute another memorial. Please visit my past memorials to Donna Bernaerts-Kearns, Daniel Thomas Afflitto,and Alison Marie Wildman, as they deserve to be remembered today also. Today, I remember Hagay Shefi. Once again I ask Lawhawk to allow this post to remain under his for the rest of the day. Hagay was born in Israel, and is the son of retired Brigadier General Dov Shefi and his wife Esther. Hagay moved to the United States in 1992, where he was appointed President and CEO of a financial company. While in Israel, Hagay rose to the rank of Captain in the Israeli Defense Force, and worked for the Ministry of Defense as a budget Officer. He was honored by the then Chief of Staff, General Ehud Barak (former Prime Minister and current Minister of Defense) as a Distinguished Officer in 1992 -- evidently the apple not falling far from his father's tree. 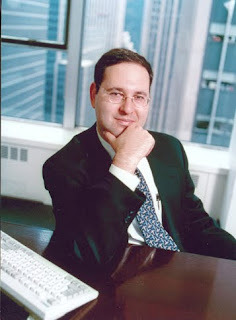 Hagay went on to lead and develop several companies and at his death, was the CO-founder, President and CEO GoldTier Technologies. On 9/11, Hagay was delivering a speech on risk management at Windows on the World on the 106th Floor of 1 WTC. Hagay has been described by one friend as "a family man who always gave of himself, a true father figure, and a caring husband." A business associate remembered his "smile, enthusiasm , and humor". A colleague at one of the companies he worked for remembered that "Hagay was superb at mixing humor and energy into situations, even the most difficult negotiations when he could not give even one inch...He made a huge impact on many of us, specially those of us who considered him one of our best friends." Hagay seemed to be a dynamic personality, a strong leader, a smart businessman, a great family man, and an eternal optimist. Even putting in long hours at his companies, Hagay always made time to spend with his children. Hagay left behind his parents, Dov and Esther Shefi, his wife Sigal, two children Roy and Naomi (ages 5 and 3 at the time of his death) and two siblings, Yishai and Pazit. Obviously, I did not know Hagay, but reading his tributes on the web, reading his father's words, I wish our paths had crossed before this tribute.